Samsung Electronics today at the 2018 Consumer Electronics Show (CES) outlined its vision and strategy for intelligent Internet of Things (IoT) experiences. 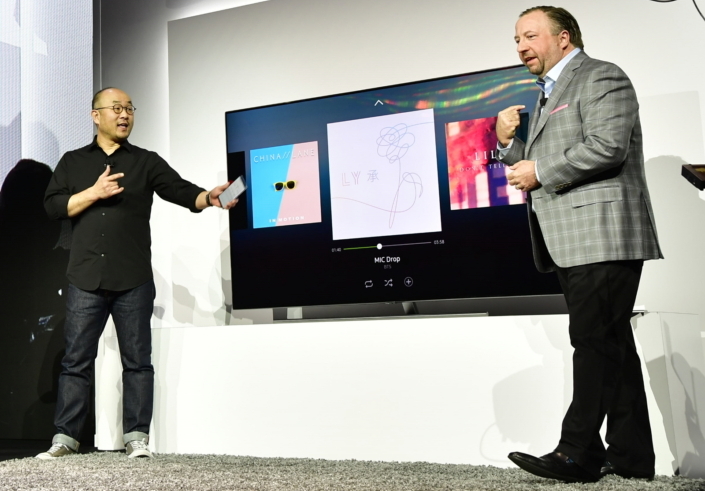 Home: Starting this year, Samsung Smart TVs will create a connected fabric between devices to provide effortless log-in for users from the moment the TV is unboxed. The new Family Hub refrigerators offer a wide range of smart features like syncing food storage with meal preparation, and keeping family members better connected and organized. Samsung Smart TVs and Family Hub refrigerators features Bixby, giving TVs greater access to applications, the ability to easily search movies by genre and actors, and display personal photos while Family Hub refrigerators will be able to recognize individual voices of family members and give personalized information such as news, weather and calendar updates. Samsung Smart TVs and Family Hub refrigerators will also operate on a single connected cloud platform, the SmartThings Cloud, serving as a smart dashboard to monitor and control connected devices. Office: Samsung is redefining the concept of the traditional office with flexible solutions that fit the needs of the modern mobile workforce. The Samsung Notebook 9 Pen brings power, portability and performance to the notebook PC for those whose jobs don’t end when they leave the office. 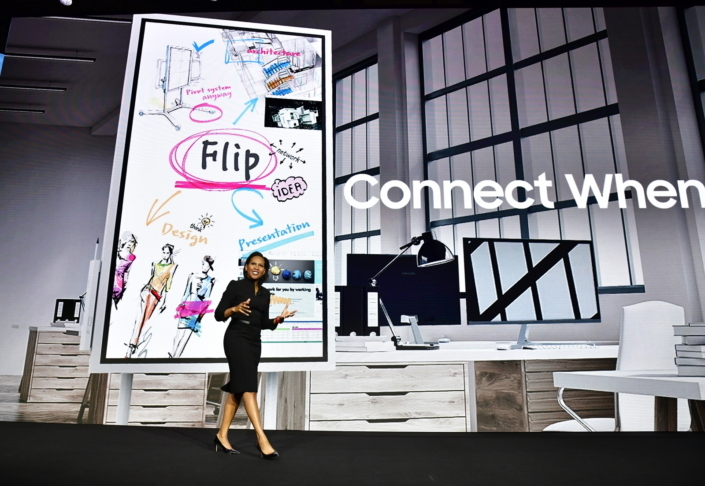 The 55-inch Samsung Flip interactive digital flip chart, simplifies office collaboration by connecting seamlessly with group members’ smartphones and notebooks for faster content and idea sharing. Up to four different participants can introduce content or annotate directly on screen at the same time using either their fingers or an embedded pen. 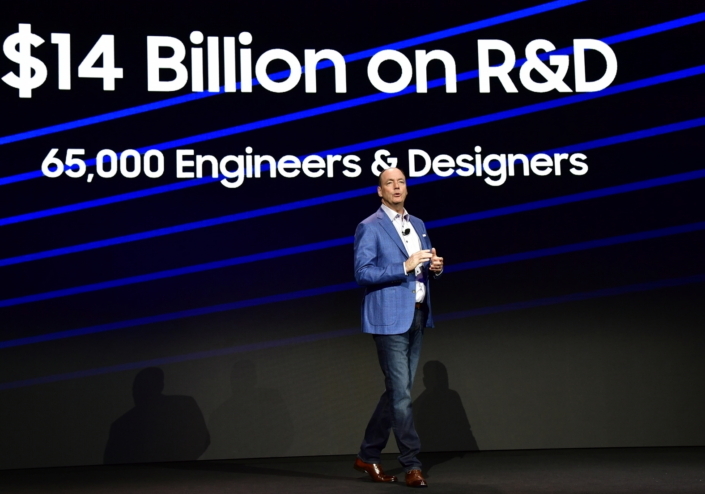 Mobility: Samsung is helping to lead the transition to 5G networks that will usher in a new set of connected experiences. Samsung is partnering with wireless carriers and broadband providers to conduct the first customer trials of 5G connectivity with up to 100 times faster speeds than the 4G LTE available on phones today. 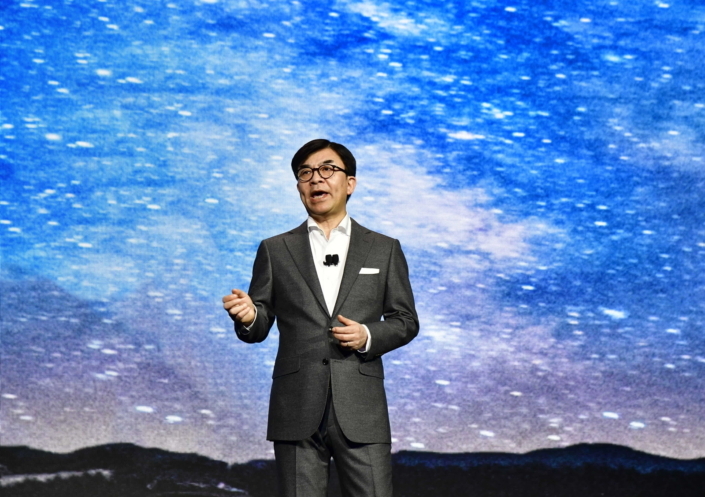 With 5G connectivity, Samsung demonstrated its vision for more comfortable driving. The Samsung Digital Cockpit shows how cars will become seamlessly connected with other ‘things’ as part of IoT. 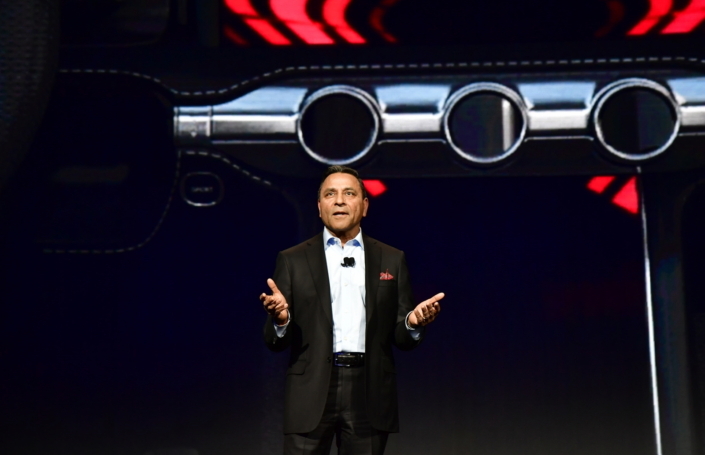 The new dashboard design, along with Bixby, allows drivers to easily control the in-car experience and connected devices at home through voice, touch, gesture and context-based triggers. Passengers can also enjoy ultra-fast streaming movies on the go. The industry-first 5G-capable Telematics Control Unit (TCU) can download and upload data faster and enables vehicle-to-everything communications, laying the groundwork for better autonomous driving.